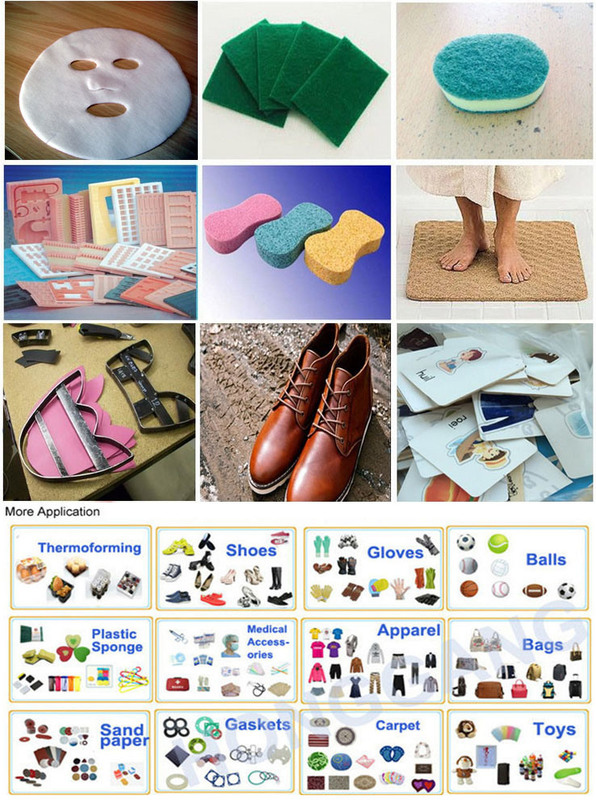 Used for die cutting shoes,suitcases,bags,cases,seat covers,facial mask,soft toys,cleaning sponges,artifical flower,EPE,EVA,blister and abrasive tools. 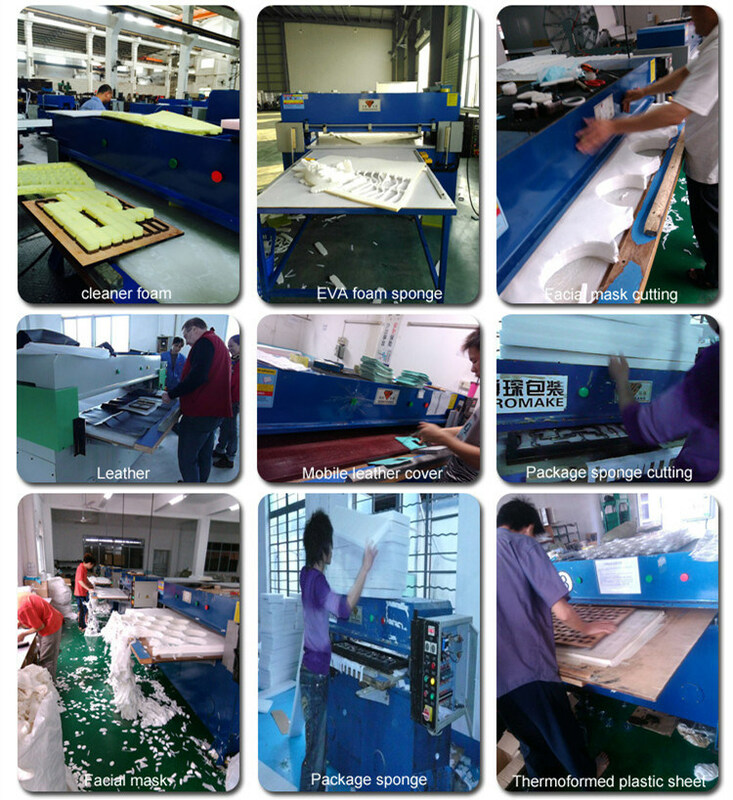 7.Suitable for single-layer or multi-layer sheet or roll materials. Remark:Cutting force and area can be as request;A and B series have different stroke for different thickness of materials. 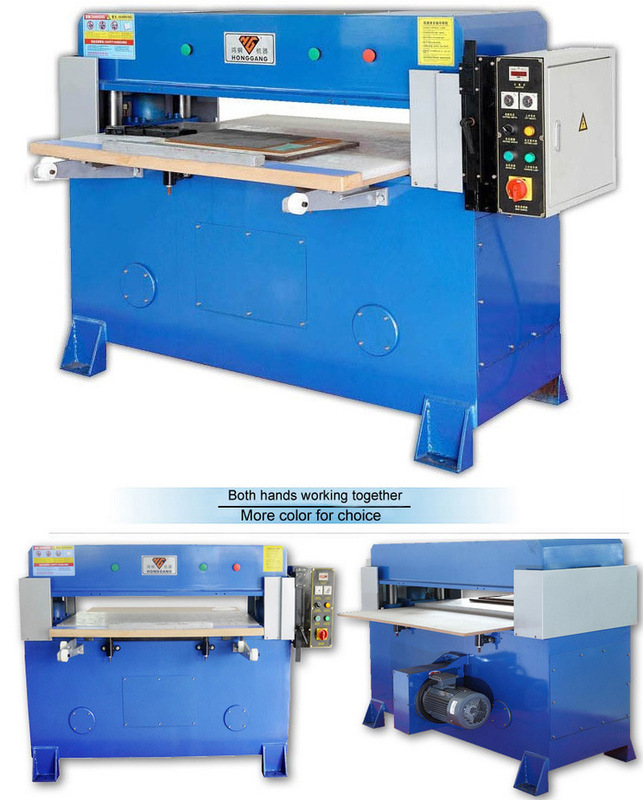 The Cutting Machine is widely used in industrial leather,plastic,rubber,sponge,foam,EVA,PVC,cardboard,paper products,fabric,home textiles,packaging materials,non woven,carpet,car cushion,felt,synthetic materials,and other non-metallic materials in various industries;Extremely suitable for cutting multiple layers of material at one time,etc. Email and calling service in working hour; Â 24 hours door to door in domestic. Send your Inquiry Details in the Below,Click "Send"!